Rhododendon (Rhododendron spp. ): growing, planting, caring. The ideal shrub for evergreen foliage and superabundant colored blooms. Scientific name : Rhododendron spp. Rhododendron is a genus of 1,024 species of woody plants in the heath family - Ericaceae - either evergreen or deciduous, and found mainly in Asia, although it is also widespread throughout the highlands of the Appalachian Mountains of North America. It is the national flower of Nepal. Most species have brightly coloured flowers which bloom from late winter through to early summer. Azaleas make up two subgenera of Rhododendron. 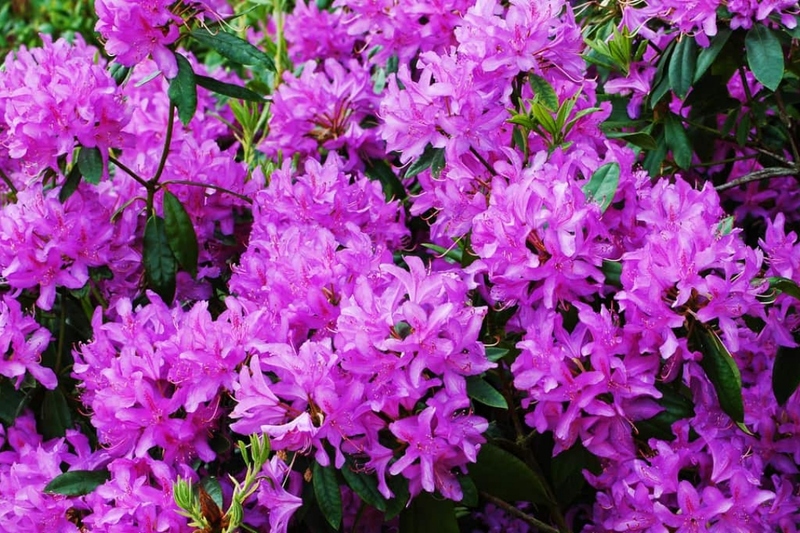 They are distinguished from "true" rhododendrons by having only five anthers per flower.